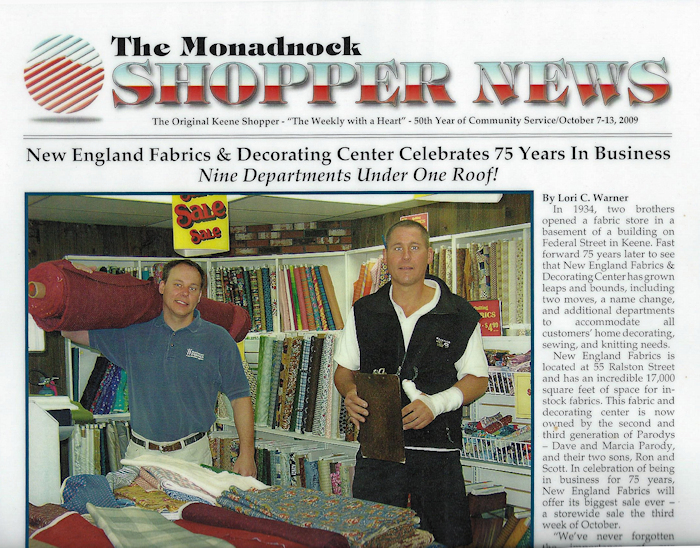 New England Fabrics and Decorating Center – with 9 departments under one roof – a family affair for 83 years! Here we share some of our history with you – This first image is from October 2009, the second image is from Oct 31, 1989. “in 1934, two brothers opened a fabric store in the basement of a building on Federal St in Keene. 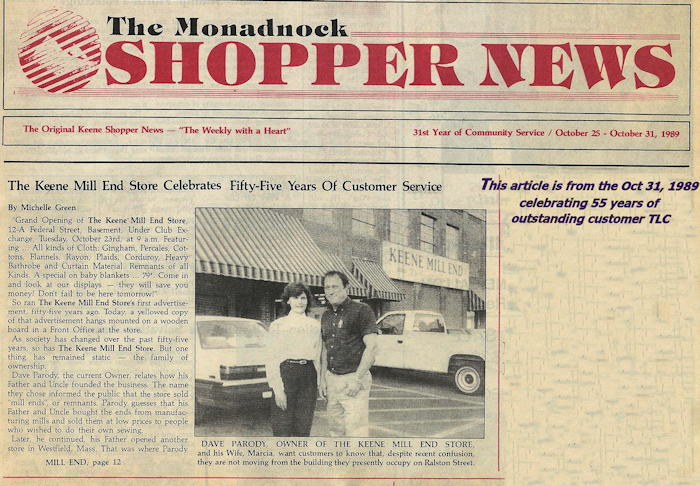 Fast forward 84 years later to see that New England Fabrics and Decorating Center has grown leaps and bounds, including two moves, a name change, and many additional departments to accommodate all customers’ home decorating, window treatments, sewing, quilting and knitting needs. According to Scott Parody, “We’ve never forgotten the importance of our customers. We realize that the only reason New England Fabrics is still here is because of them.” Up until the mid-1960s New England Fabrics carried just dress fabrics and notions. Pleasing customers means staying in tune to customers’ needs. 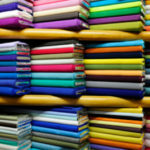 New England Fabrics met this need by expanding into 9 departments – fashion fabrics, quilting fabrics, home decorating, upholstery, knitting & yarns, sewing machines, window treatments, window blinds, curtains and discount fabrics. We are grateful to our 18 full time very talented employees who have helped make New England Fabrics a family affair for our customers across NH, VT & MA. And Thank You and your Parents and Grandparents for helping us to make New England Fabrics and Decorating Center a Keene and Central New England landmark of quality and kindness for 84 years.